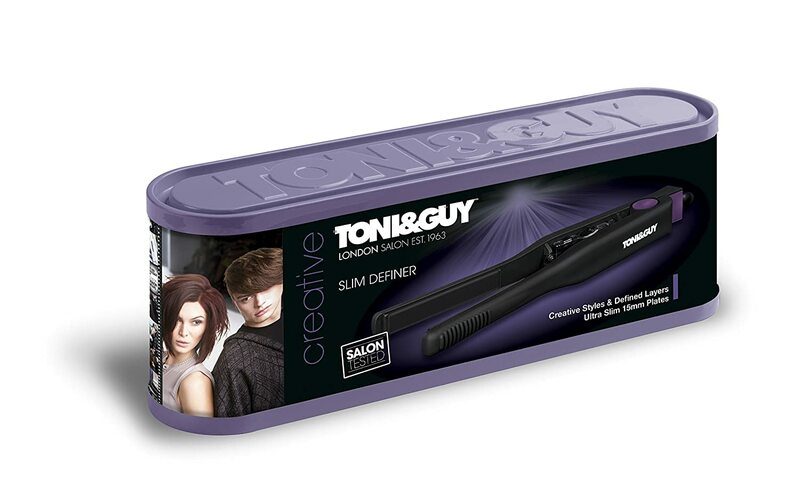 Made by Toni & Guy, a leading hair care and product specialist worldwide, is the Toni & Guy Definition Straightener and Slim Hair Definer. It is an ultra slim styler which makes it great for shorter hair and even greater to travel with as they don’t take up much space. In addition, the 15mm definer tongs straighten short hair in no time at all and are fabulous for getting creative with styling such as beach curls or flicks. 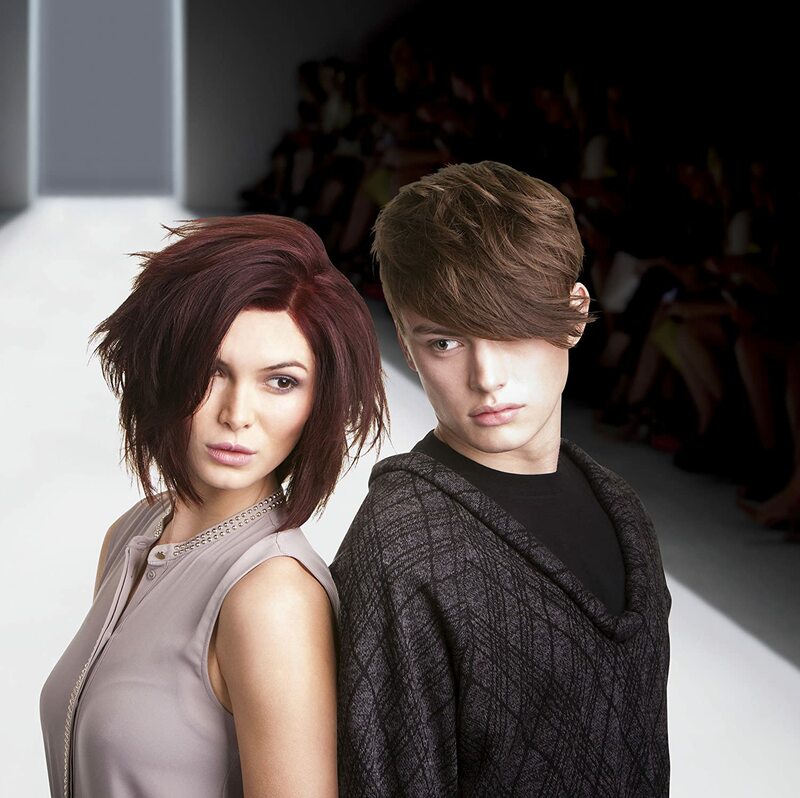 Also, making layers stand out, giving short hair a choppy look. Because of the slim plates, these tongs can be used for both woman and men as the slimline plates can reach the shorter hairs right down to the roots. The plates themselves are made from ceramic tourmaline. Tourmaline is often infused into ceramic plates to produce straighter and shinier results as well as protecting coloured hair. This makes it by far one of the best hair straighteners for short hair in men and women. The plates are small enough to straighten and style shorter, thinner hair but maybe not longer and thicker hair. Due to this, the plates can be a little weaker than thicker plates so it is best not to be too heavy-handed with the tongs or use them on large sections of hair. Regardless, the straighteners are a great weight and are comfortable to use. Use them with care and they will work effectively. Moreover, the cord is a great 3 metres long which means the straightener will be able to reach all areas of the head from sitting or standing in one position which also allows for an even finish all round and no curly hairs left astray. As the straighteners are not digital, there is no indication that the straighteners are on or off and no warning light if they are left on, so it’s important to be vigilant at all times, when using hot irons. 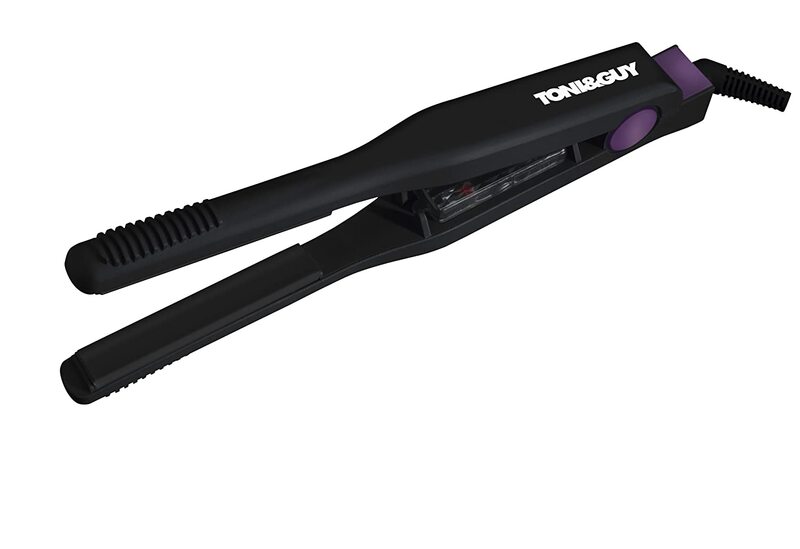 The tongs reach up to 200 degrees controlled by a small temperature wheel inside the arms of the straighteners making them easy to use. They heat up quickly which means that you don’t waste time waiting to use them. ​Slim and easy enough to use.Very good for styling both long and short hair.The barrel is slim so takes precise pieces of hair.This also has Colour lock which makes your hair shine.I enjoyed using it but found the holder held the hair a bit tight.Excellent for straightening or styling. At a price of around £20 this is without a doubt great value for money. This is one of the cheaper straighteners which you find a lot of with the thinner, smaller straighteners but don't let that fool you and make you think any less of this product. In conclusion, as made by Toni and Guy, the straighteners are salon tested making them fit for professionals. They even look professional with a slick black finish and small purple detail. No further accessories such as a heat mat or travel pack are included with the tongs so despite being great for mobile use, you’ll need to find your own way to carry them. 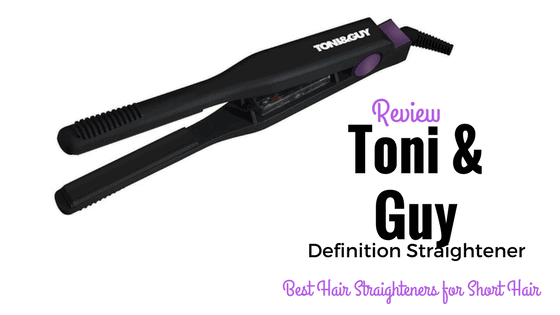 Overall this straightener is well worth every penny and is great value for money. Especially with the offer of a 5-year guarantee you just can’t turn down such a deal.